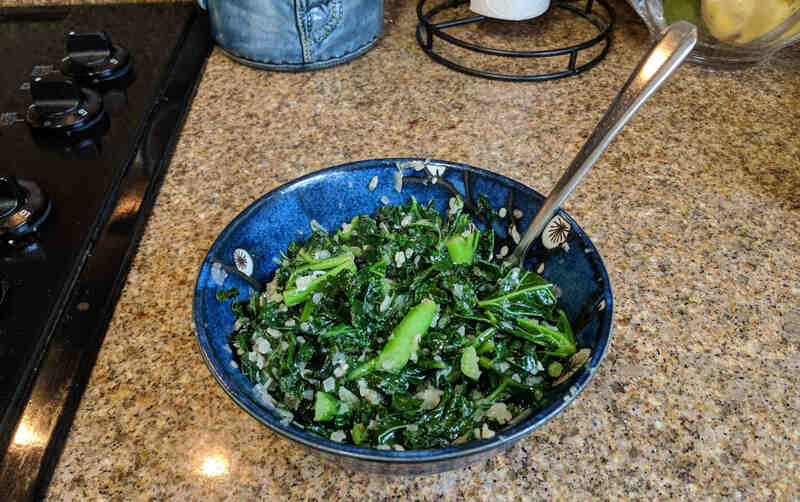 I’d like to share my favorite way to cook kale, hands-down. It’s super fast and easy, and the result is a tasty, zingy side dish. Because kale is such a fibrous plant, the trick to getting it tender is to give it a little steam before sautéing it. We do this by putting water in the bottom of the skillet and cooking it covered for the first few minutes. The steam also has the effect of rehydrating the dried onion and mellowing the garlic! Add the kale, olive oil, onion, garlic, salt, pepper, and water to a large skillet. 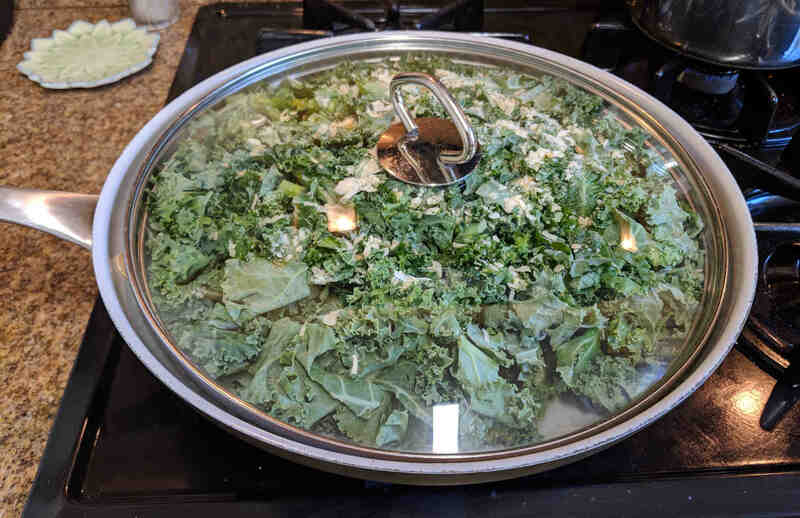 Cover and cook on medium-high heat for 5 minutes, or until kale turns bright green. Uncover and mix ingredients thoroughly. Cook, stirring occasionally, until no water remains in bottom of the skillet. Remove from heat. Add lemon juice and stir thoroughly to incorporate. If you end up making this recipe, please tell me your thoughts in the comment section!